The 2018 NNECOS Board Election has been completed, with 22% of eligible members voting. The results of the election and subsequent board appointments follow. 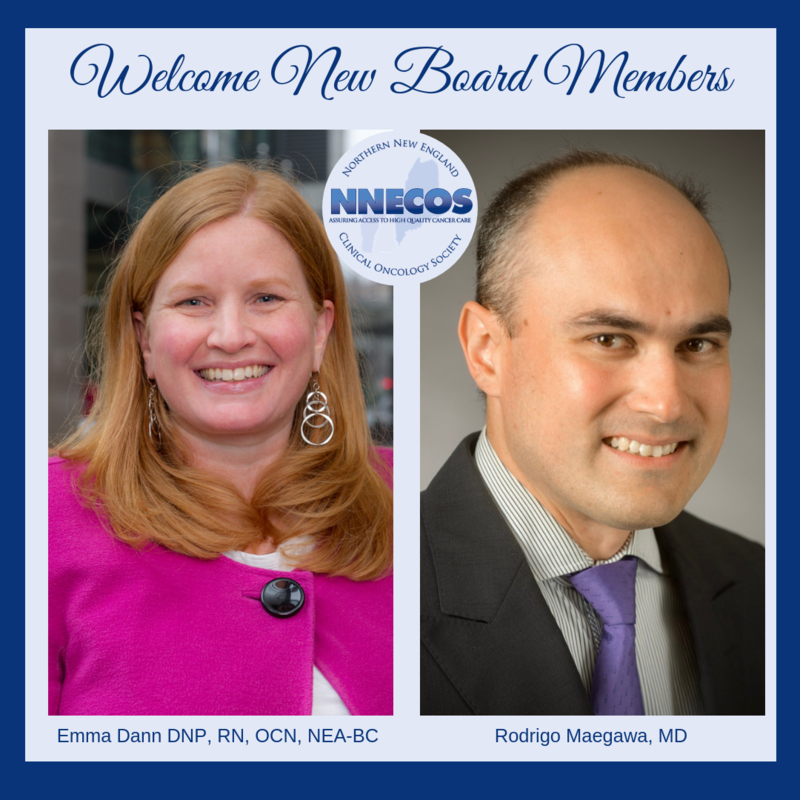 The NNECOS Board of Directors is delighted to welcome two new members-elect, elected to three-year terms beginning at the conclusion of the 2018 Annual Meeting at the Omni Mt. Washington Resort, in Bretton Woods, NH. Join us in welcoming Emma Dann as an Active Associate Member representative, and Rodrigo Maegawa as an Active Physician Member representative. Both new board members have been active in the society and will make excellent additions to your society leadership! 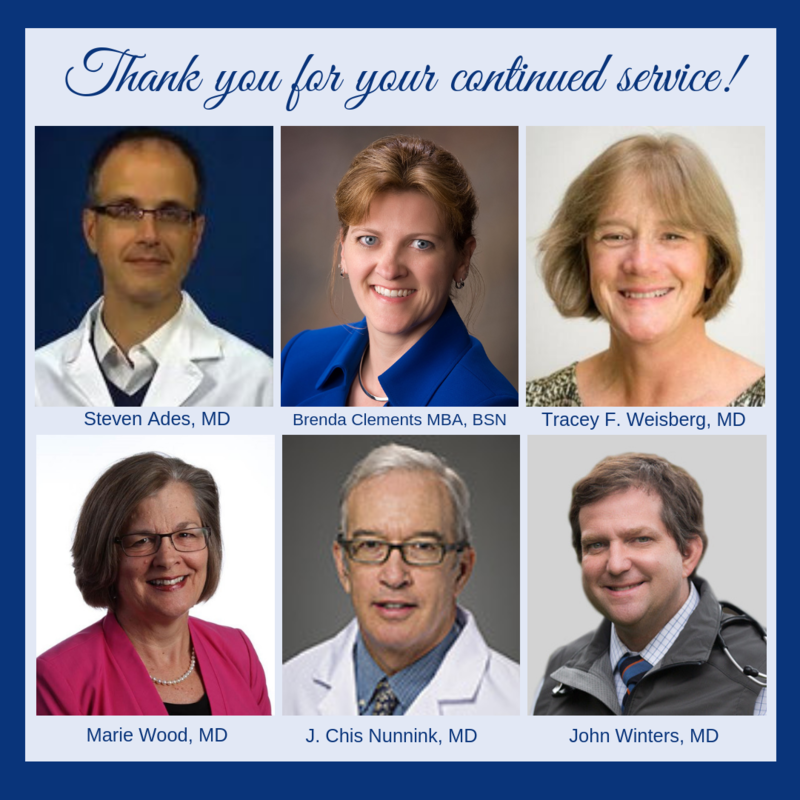 The NNECOS Board is grateful for the renewed commitment to board service by the six current board members pictured above. Steven Ades, Brenda Clements, Tracey Weisberg and Marie Wood have each been elected to another three-year term. Founding member Chris Nunnink has been appointed to a three-year ex-officio seat on the board, and John Winters has had a two-year extension added to his current board term. Congratulations and thank you to all for past and future service to NNECOS!